Starting your day off on the right foot is important for having a productive successful day. Having a morning routine will help start the day off in a positive manner. I am going to cover 10 healthy habits that recommend you incorporate into your Moring routine to help you get the day started off on the right foot. Now I am are not saying you have to do all of these habits put to pick a couple to start with and slowly start to incorporate more over time. 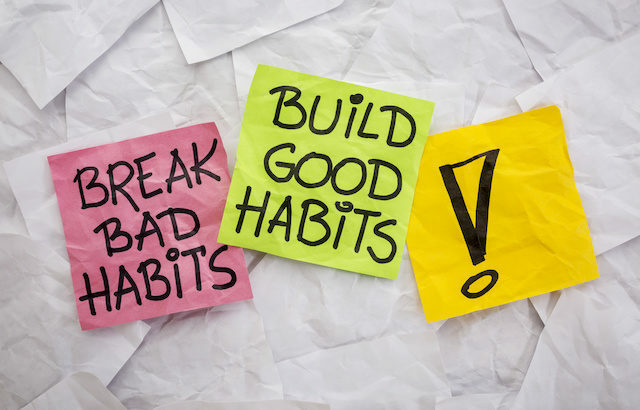 Creating habits takes 21-66 days, so it’s important that we do these habits daily consciously so that in the future we just do them subconsciously. What that means if you don’t know the difference between consciously and subconsciously is in the begin you are going to have to remind yourself every day to complete these healthy habits, but eventually, you will do it naturally without even thinking about it. Kind of like driving, in the beginning, you have to pay close attention to how to get or your friends how, but after a few times, you just do it naturally. Wake up slowly: Give yourself time to wake up in a relax state and don’t hit the snooze button. Plan your morning so that you set the alarm 15 min early so you can slowly wake up and not have to jump and rush out of bed and start your day in a stress state. Say your Daily affirmations: I recommend 5-10 mins for this habit. I personally do them first thing in the morning while I am still lying in bed. I am getting my mindset in a positive state before I get out of my bed. There are so many daily affirmations, choose some that work for you. If you have never said daily affirmations and want to learn more about how to say daily affirmations I recommend a book called “you can heal your life by Louise hay” It’s a great book and she talks a lot about affirmations and also a list over 100 affirmations to choose from. You can also just google daily affirmation there is lots of free information about daily affirmations. To give you some example of things you may say “I am awesome” I am strong” “I am healthy” “I am successful”. Find ones that resonate with you. 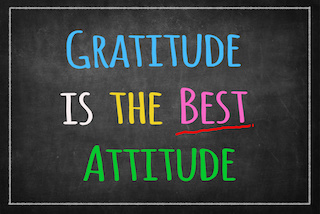 Daily Gratitudes: Along with daily affirmations you should say or write your daily gratitudes. Be grateful for the things in your life will help get the things you want into your life. Take a min to stop and think about all the things you do have, we live in such a fast pace convenient world now that people forget to be grateful for the basic things we have in our life. Like hot water, electricity, cars, phones, clean clothes, food, the list goes on and on. Take a couple minutes in the morning to say 10 things you are grateful for the can be big or small. I personally say my daily affirmations and gratitude’s in bed first thing in the morning. So, I spend about 15 min from the time my eye opens just saying my affirmations and graticules in my mind. Make your bed: Although this is just something small it has been proven to improve the overall quality of life. Starting your day by taking 2 min to make the bed, give you a feeling of accomplishment and it lowers stress. It also can prevent any embarrassments from unexpected guess and leads to other good habits. Drink Water: Consume 2 glass of Water before you leave the house. starting your day with water is so important. Drinking water all day is important, but having water first thing in the morning is going to help boost your metabolism going but also make it easier for you to keep drinking water all day. I highly recommend lemon water, you can have this warm or cold. Some other amazing options are to have lemon, ginger and apple cider vinegar water. Now, this does not taste amazing for most people but the health benefits are unreal. So, your body will be thankful. A little tip for is that you can make a big batch at once then pour them into ice cube tray and just add one ice cube in the morning with hot water. Personal Hygiene. I know it sounds obvious but it gets missed a lot. Having a personal hygiene routine is so important. Brushing your teeth, washing your face and monstering should just be included every morning. I recommend using a moisturizer that has SPF protection if you spend some time outside. If you feel fresh you naturally feel better and people notice this energy. Nutritional breakfast: Make sure you start your day with high nutritional value foods. I am sure you have heard before that breakfast is the most important meal of the day. Well, it is, it gives your body the energy it needs to tackle the day and also get your metabolism going. This does not mean that you need to spend time cooking a big breakfast, you just need to choose foods that are high in nutritional value and not full of empty calories. So, we want to make sure we have a well-balanced meal that contains proteins, fiber, carbs and vitamins, and minerals. 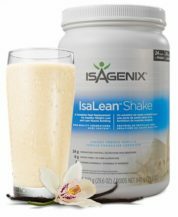 Isagenix shakes are the perfect well-balanced meal, they are also quick and easy which is very helpful in the morning when don’t have much time. Get active: Exercise is an important part of staying healthy. I recommend people to plan their exercise routine for the morning before they start their workday. Yes, this means getting up a little earlier, but you will feel so much better if you exercise in the morning. Getting those endorphins going will set your day up for success. Plus, then it’s done and dusted out of the way. I find that if I don’t exercise in the morning the percentage of me not fitting in exercise is higher. Meal Prep: Prepare healthy snacks and meals for your day. Eating healthy on a busy schedule can be hard if we don’t prepare ourselves up for success. Making sure you pack a health food options for your day will make this so much easier sticking to healthy clean eating. Daily goal setting: Set your day up for success and take 5 min to plan your day and set some goals. Goals are very important part of life. We often lose sight of our long-term goals, especially with dealing with all of the life’s distractions. Setting daily goals makes it easier to stay on track to achieving our goals. There are so many healthy habits you can incorporate into your morning find what habits work best for you and produce results. Be patient with yourself it takes time to create habits. The most important thing is you do not give up, if you forget one day that’s ok, just start again the next day until it just comes naturally. Blog, Health Benefits Healthy Habits, Isagenix, Morning Routine.